This is a sad phantom. And I love her little clawy hands. Thanks. 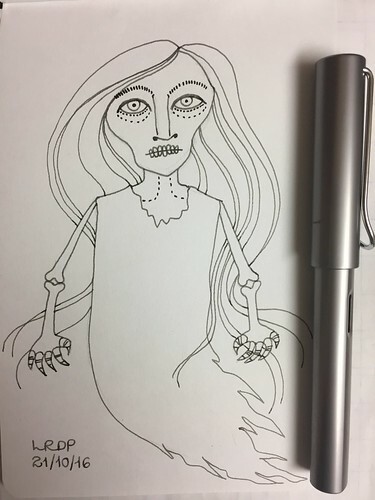 I wanted her to look cadaverous and a bit creepy, depressed to be stuck as a ghost.